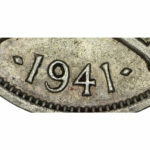 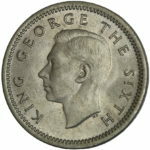 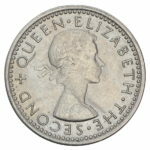 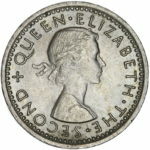 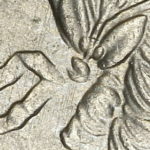 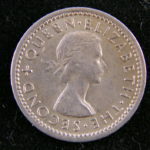 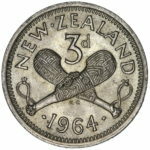 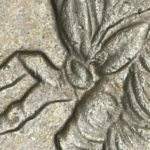 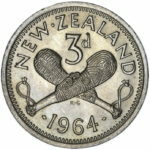 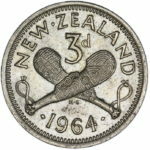 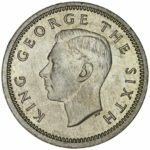 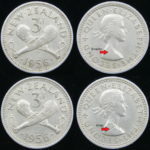 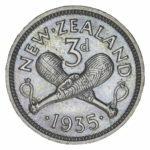 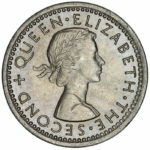 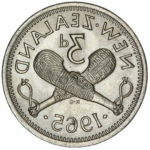 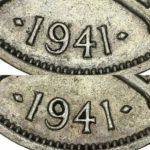 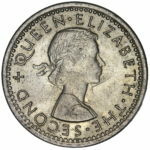 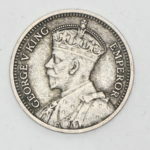 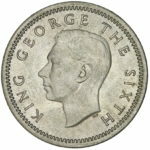 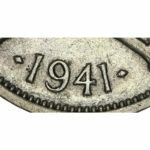 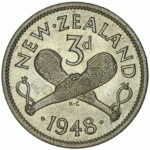 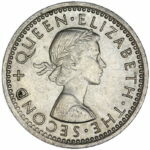 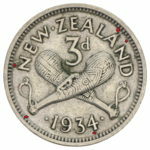 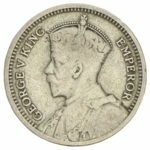 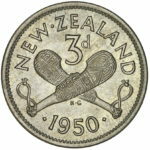 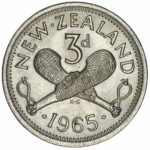 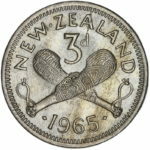 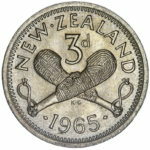 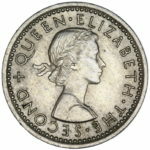 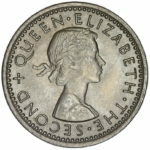 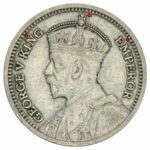 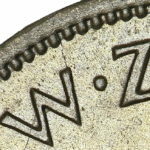 Second lowest mintage with only 800,000 produced. 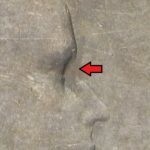 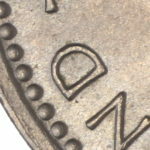 NOTE: This Die Clash error should show no signs of the line between the forehead and nose when tilted on an angle. 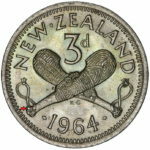 Die Clash more obvious on the Obverse showing the outline of the Patu . 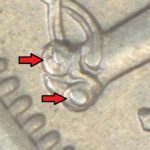 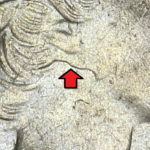 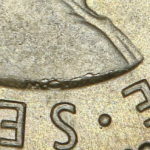 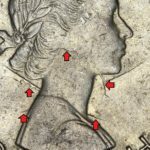 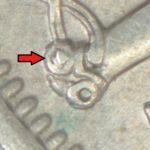 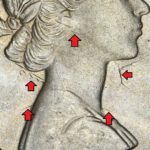 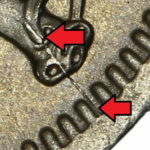 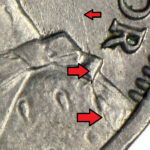 This fault often starts with a obvious line under the Queens Ear that is present on a number of years but this is only the second 1964 coin I have found to show this extent of a die clash. 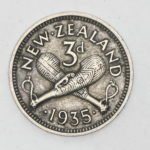 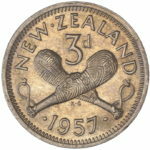 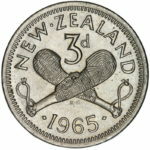 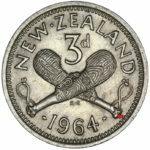 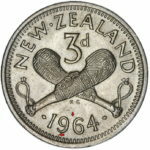 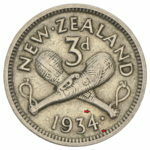 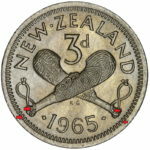 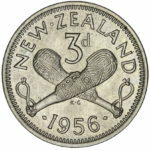 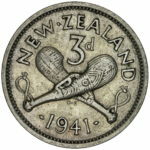 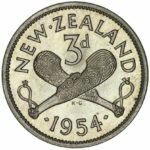 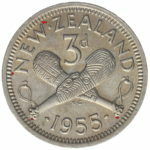 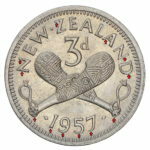 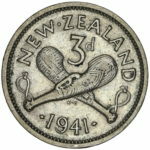 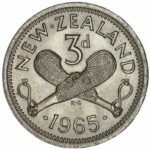 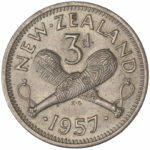 Die Clash more obvious on the Obverse showing the outline of the Patu and 96. 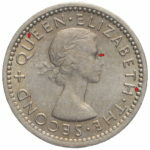 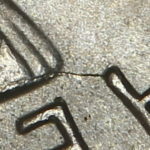 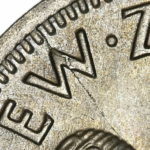 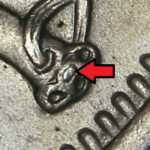 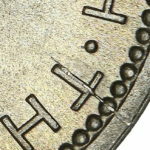 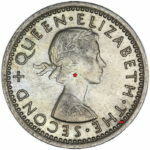 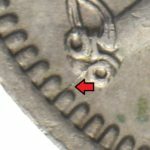 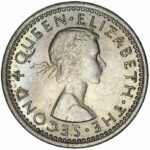 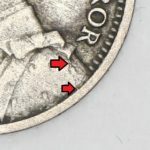 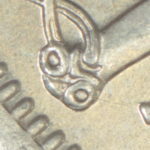 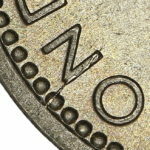 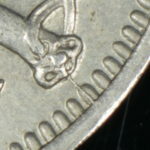 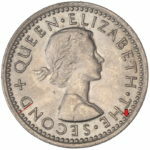 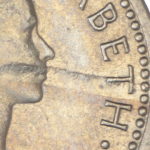 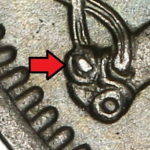 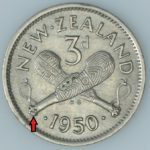 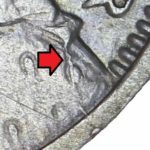 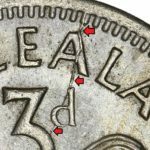 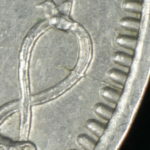 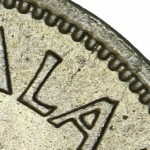 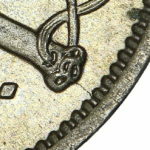 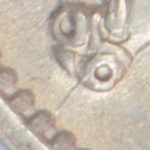 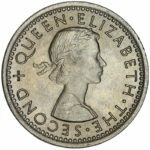 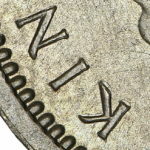 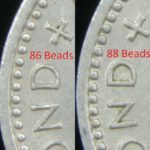 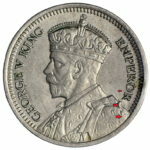 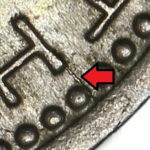 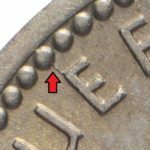 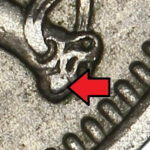 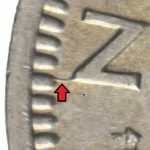 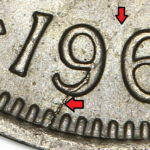 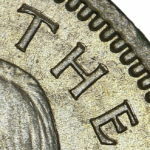 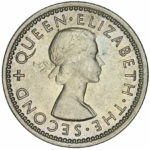 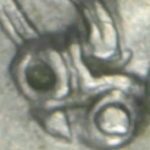 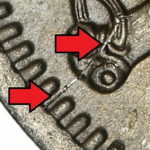 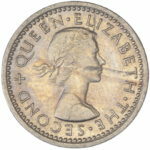 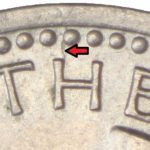 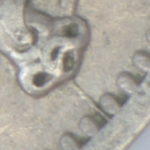 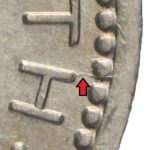 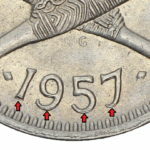 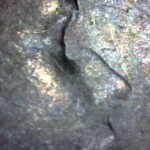 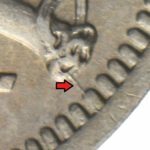 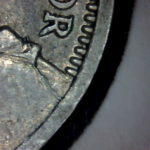 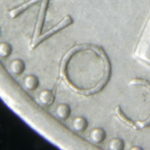 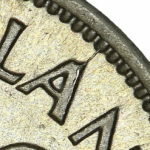 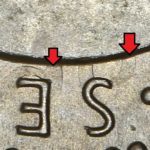 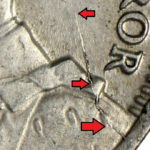 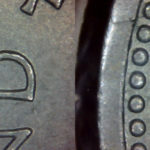 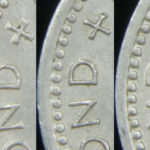 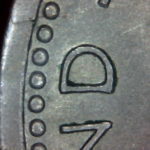 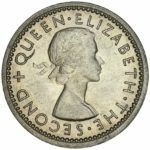 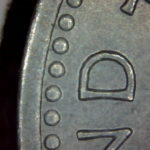 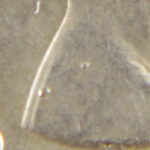 This fault often starts with a obvious line under the Queens Ear that is present on a number of years but this is only the second 1965 coin I have found to show this extent of a die clash.